With an abundance of options for a full range of palates, the LuXe is surrounded by San Francisco's finest restaurants and eateries for a range of sumptuous fine dining experiences. Dozens of cafes to Michelin Star and Zagat reviewed restaurants that are within walking distance and boast of culinary specialties from around the world. Below is a list of a few favorites in the neighborhood. Pacific Heights is a premier destination point. Central to Russian Hill, Nob Hill and the Marina districts, the LuXe is conveniently placed in an exlclusive hub of high-end boutiques, artisan stores, clothing designers, furniture shops and beauty stores to meet the needs of any discerning shopper. 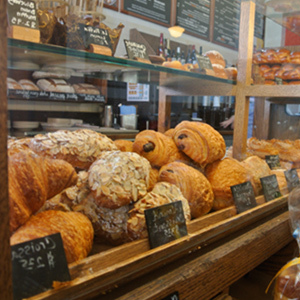 Below is a short sampling of the vibrant offerings found within walking distance from the LuXe. LuXe is surrounded by a host of small parks, peppered with galleries and historical sights. 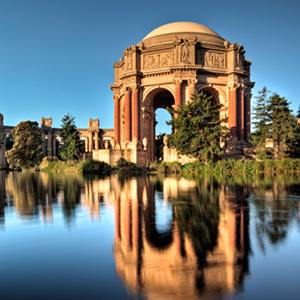 The area has long been considered the 'hollywood' of San Francisco and filled with Victorian mansions and cinematic views of the Bay and Golden Gate Bridge, making it a consistent favorite of visitors to the city. The brief list below are some open spaces, and landmarks worth exploring.